Ellen’s writing is amazing. I am a closet fan of everything she writes ... The best thing about Ellen’s writing is that it has big brass balls. There is seemingly nothing she won’t write about but more than the fearlessness is how Ellen writes about anything. She is willing to go there over and over and over but she does so really, really well. 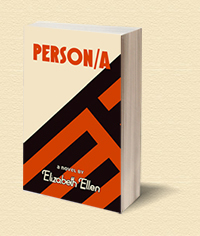 Literary Hub (Lithub) named Elizabeth Ellen's novel Person/a as a "best work of experimental literature" in 2017. 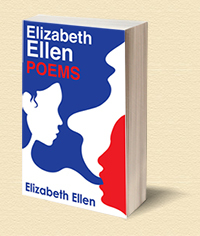 Elizabeth Ellen's stories, poems and essays have appeared in numerous online and print journals over the last 15 years, including elimae, Hobart, Fanzine, Bookslut, Muumuu House, BOMBBLOG, American Short Fiction, New York Tyrant, McSweeney’s, The Guardian, Joyland, Catapult, Bennington Review, and Salon. 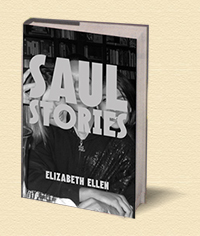 In 2012 Ellen received a Pushcart Prize for her story, “Teen Culture,” originally published in American Short Fiction and included in her second story collection, Saul Stories (SF/LD, 2017). 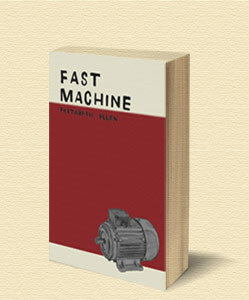 She is also the author of the story collection Fast Machine (a cult classic published in 2012), the novel Person/a, and the poetry collection Elizabeth Ellen. She is deputy editor at the literary journal Hobart, and, in 2006, Ellen founded Short Flight/Long Drive Books (SF/LD). Through SF/LD, she has published and edited such seminal works as Mary Miller's Big World, Chelsea Martin's Even Though I Don't Miss You, and Chloe Caldwell's Women, among many others. In 2014, Ellen authored a controversial essay for which she was removed from an anthology of ‘provocative women writers’ to be published by Black Lawrence Press. Upon Ellen's public removal from the anthology, several other prominent female writers pulled their names and contributions from the anthology in support of Ellen, including Roxane Gay, Cheryl Strayed, Laura van den Berg, Amelia Gray, Lindsay Hunter, xTx, Mary Miller and Jac Jemc. Presently, Ellen is represented by Anna Stein.